CINCINNATI – Paul Brown Stadium was the scene of a feast fit for the king of the jungle Wednesday evening. Cincinnati Bengals wide receiver A.J. 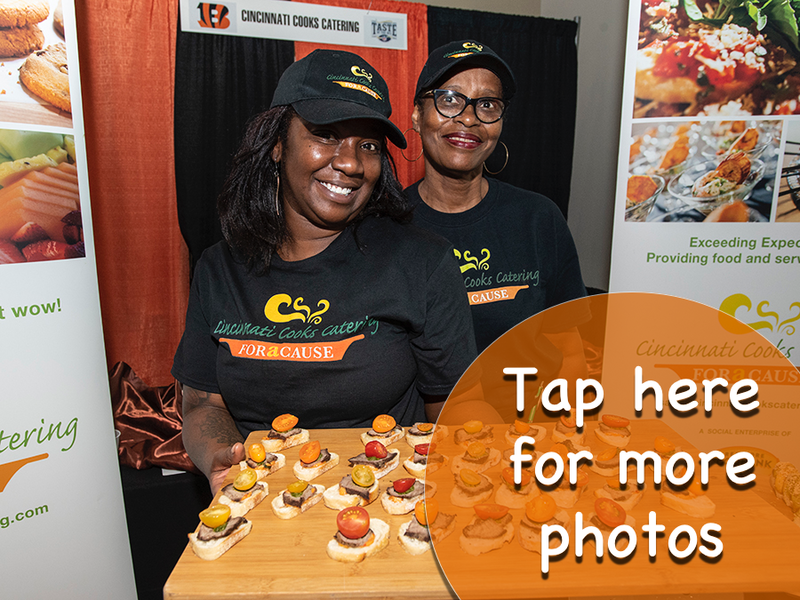 Green and Blair Fornshell, owner of Over-the-Rhine's Brown Bear Bakery , hosted the Bengals’ 16th annual Taste of the NFL inside the stadium's West Club Lounge. Hundreds of foodies and Bengals fans attended the event. They sampled local cuisine, bid on items during a special auction and meet players such as Bengals quarterback Andy Dalton. The evening benefited the Freestore Foodbank . Click here or on the image below to see images from the Taste of the NFL event.